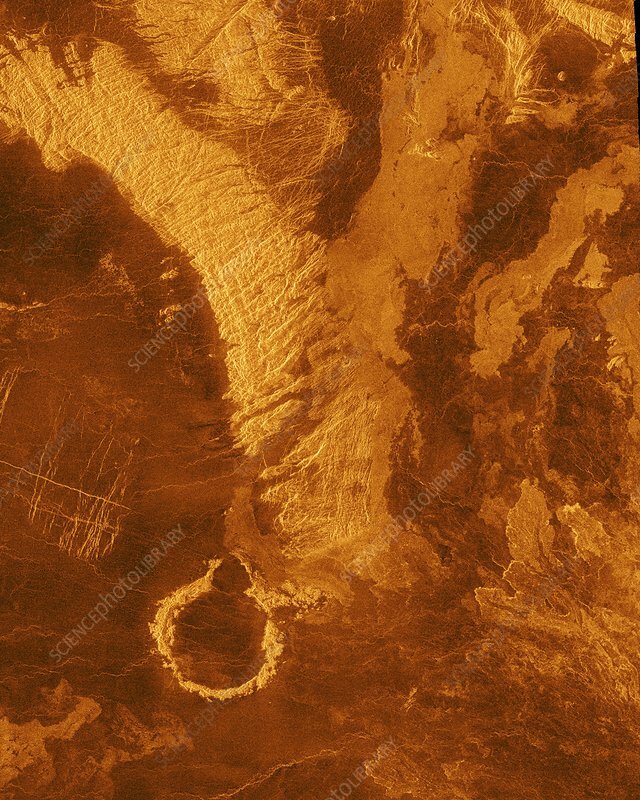 Surface of Venus. Radar image showing the Leda Planitia (plains) region in the Northern Hemisphere of the surface of Venus. The plains of venus are formed by fluid volcanic flows that may have once formed vast lava seas covering all the low lying surfaces. Here, the oldest terrains appear as bright highly-fractured or chaotic highlands rising out of the plains. Imaged by the Magellan spacecraft, in 1992.